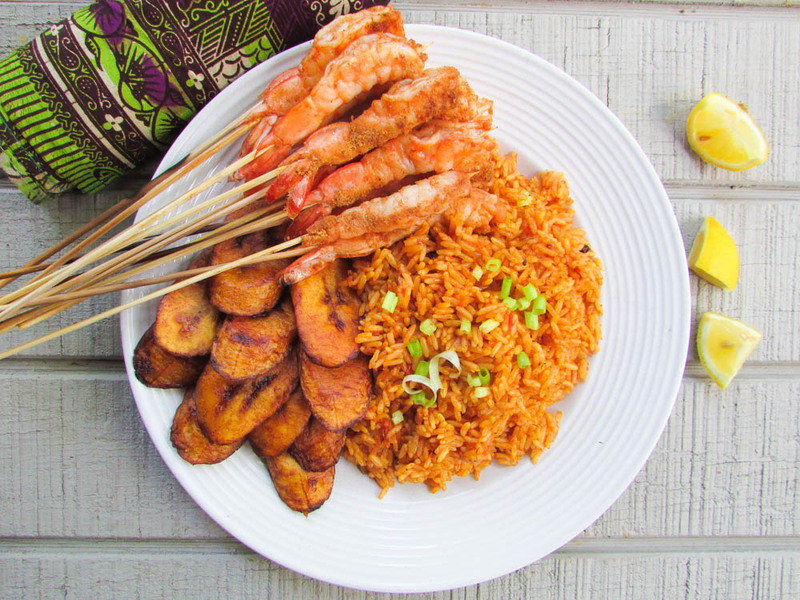 Jollof rice is said to have originated from the Wolof tribe in Senegal, it was a great empire which was divided into parts of the Gambia. I remember when Jamie Oliver made his version. 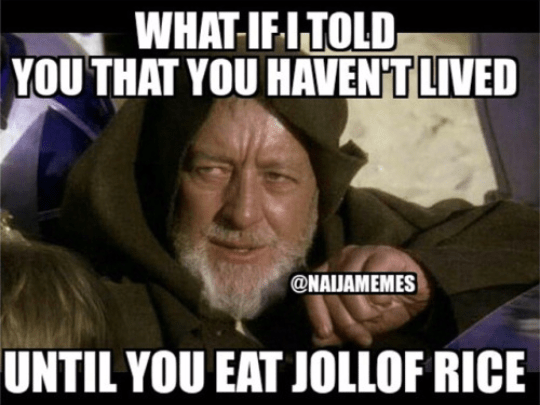 There was the war of the Jollofs with a hashtag #jollofgate. Poor guy was told off by both Nigerians and Ghanaians. As in Nigerians and Ghanaians united and fought the Jollof fight. Or was it when Tesco made their adaptation and posted the recipe on their website? 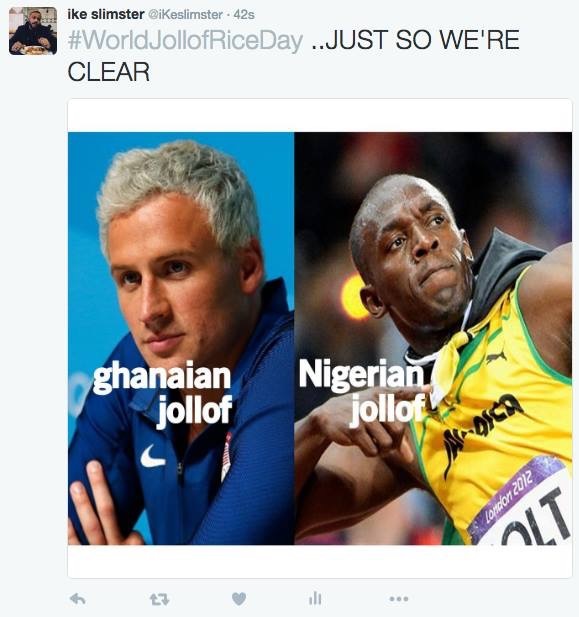 Someone said “no tomato in that rice!” lwkmd, you do not mess with our Jollof rice. In every wedding and celebration in Nigeria, there is almost always Jollof rice on the menu. Nigerians do eat a lot of rice, we can eat rice at our homes and still go to a party the same day and eat Jollof rice; especially when it comes to party Jollof. Hey! There is nothing absolutely wrong with it! 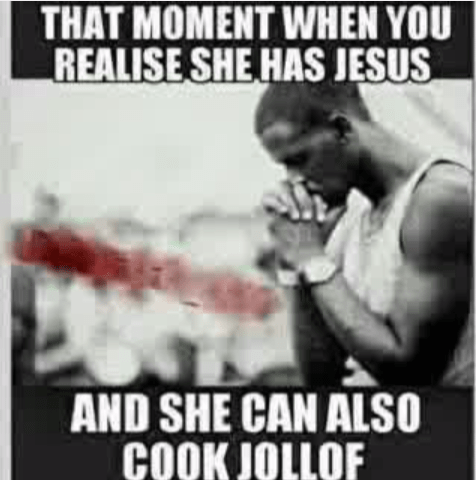 Some things you must get right when you want to cook Jollof rice is getting the right kind of long grain rice and taking the time to fry the stew; then steaming the rice until you get the right consistency/bite. 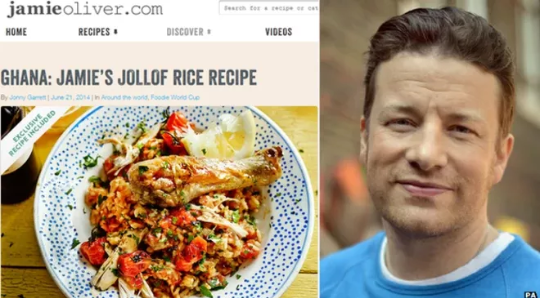 You can be a good cook, in fact you can be Chef Mario Batali, but if you do not know how to cook jollof rice; just “gerrout” of the kitchen and get the stepping. 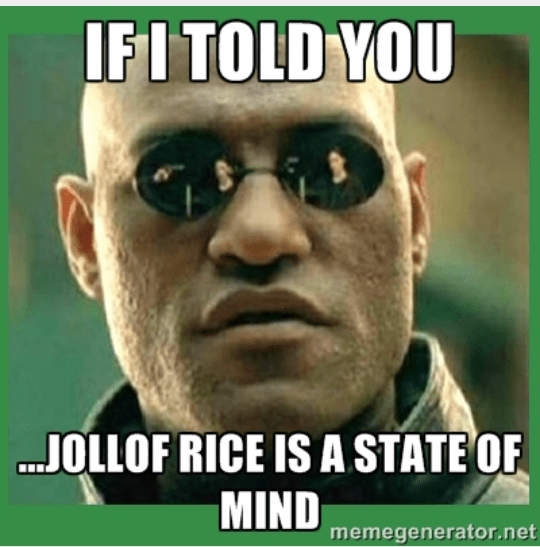 Apart from being a state of mind, Jollof rice is likened to an amazing personality and a life style. We use languages like “Jollof boy ” meaning a happy boy or a sumptuous woman. Usually any long grain or Basmati would do. Just make sure it’s properly washed clean and drained of all liquids. If making Jollof risotto; then a shorter grain can be used. I always use slightly more warm to hot meat stock or water compared to my rice. For example if I’m making 3 cups of Jollof rice, I opt for about 31/2 cups of stock/water. I usually bring it to a boil; then cover with a grocery bag or foil and a tight lid to steam on medium to low heat. Steaming, and the amount of heat used matters a great deal. Jollof rice cooks perfectly with steam. During the days when I was teaching myself to cook Jollof rice, I usually would just boil it and I kept having to add more water each time as it dried out; until I learnt the act of steaming and it saved my life and time. Also, the use of meat stock is paramount, but you could always make your rice with water and the right amount of spices. Okay, a lot of people do this differently. Some use tomato paste and bell peppers to get the right color. Recently, I have been using fresh tomatoes and bell peppers only. There’s nothing wrong with using tomato paste. Using fresh tomatoes and bell peppers have just always been an alternate preference. Patience also plays a big part in the color. It takes time to get the right consistency of the fried stew for Jollof rice. After frying your stew, it should look a little dark and dry before adding your rice to the mix. Errm I cannot stress it any more than I do already. 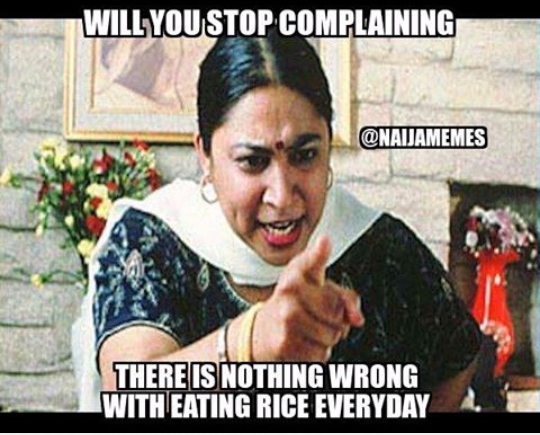 Your rice should not come out dripping with water or stew. Aldente is everything! It shouldn’t be too soft nor should it be hard. (Somewhere in between). If your rice is too hard, you could add a little more hot water or stock. Do not cook your rice with cold stock or cool water! You want the liquid to meet with the rice and heat up quickly as opposed to taking its good time to heat up when it’s poured in cold; therefore, causing too much burning. If your rice has too much water, pour it into a wide tray and stuff it into the oven on high heat(350 degrees) to dry it out. If not , you could use 9jafoodie’s pot method. 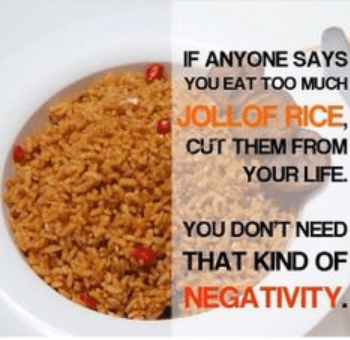 This entry was posted in coconut jollof rice, Jollof rice, Rice, Rice Dishes, Rice Recipes, Uncategorized and tagged Ghana Jolof rice recipe, How to cook jollof rice, Nigerian jollof rice recipe. Nice! Will try out the part of frying the spices in oil before adding onions and tomatoes. I follow you on Instagram and I see you’re doing a great job, even though initially I thought “why will anyone call themselves a lazy chef?”. Now reading your profile, I understand better. Well done, Nma. Love your article. Please what kind of butter can I use? 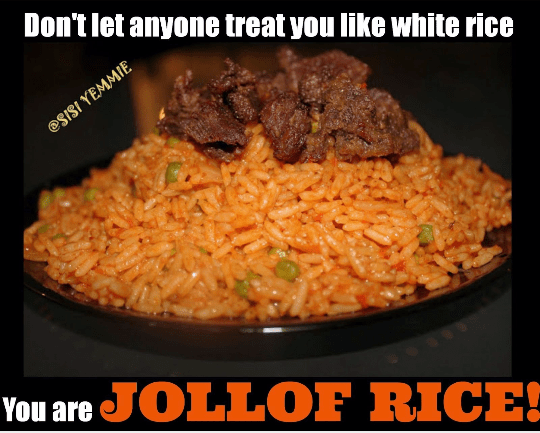 Pls, wat tribe in Nigeria originally owns jollof rice and what’s the difference between how Igbo cook there’s compared to d Yoruba one? Thanks but I just heard that there’s a subtle difference in the Igbo and Yoruba versions of even the classic jollof rice and that Igbos are more likely to put certain things. How much do you know about that? 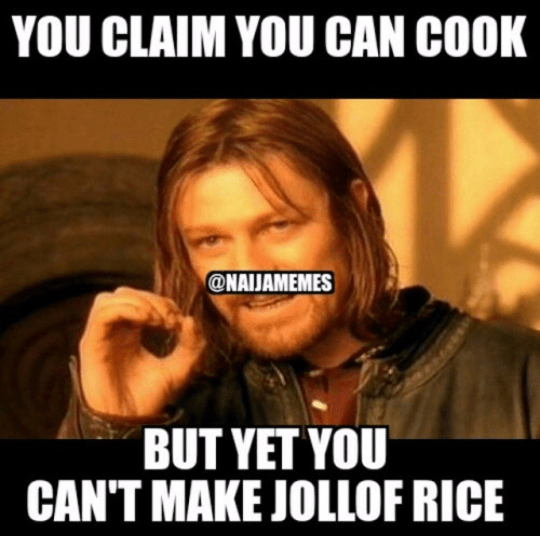 And is there a difference in how jollof rice was cooked in Nigeria in 70s and d 80s compared to now? Tnx. I don’t see the full recipe I’m not Nigerian so I don’t know how to make it but I would love to try it for my family. I love this post! Insightful & 😄 funny! This is my first time reading clove in a recipe. I will be trying soon! Also, what oil(s) do you prefer to use? ?